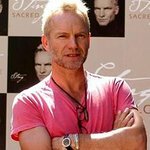 The We Are Family Foundation (WAFF), a not-for-profit organization founded by legendary songwriter and producer, Nile Rodgers, will honor Humanitarian Award recipients Sting and Trudie Styler at its annual Celebration Gala, on Monday, October 29, 2012, at Manhattan Center’s Hammerstein Ballroom in New York City. Hosted by actress Rosie Perez and Touré, co-host of MSNBC’s “The Cycle,” the evening will include a concert featuring Sting, Nile Rodgers & CHIC and other special guests, to celebrate extraordinary global citizens who are dedicated to making the world a better place and who have helped WAFF make a positive impact on more than 15 million people worldwide. The funds raised at this year’s Celebration Gala will support WAFF’s mission and existing programs including Three Dot Dash – WAFF’s signature program, which identifies, supports and mentors Global Teen Leaders actively working on programs that address basic human needs and promoting a more peaceful world; and TEDxTeen, a global educational platform for extraordinary teens to share their stories and inspire millions. Tables of 10 for the 2012 Celebration Gala can be purchased in advance by contacting Michelle Posadas via phone at 212.397.4333 or email at contact@wearefamilyfoundation.org . To purchase individual tickets or to make a contribution to We Are Family Foundation, visit wearefamilyfoundation.org. Contributions are fully tax deductible to the extent allowed by law; the non-deductible portion of each ticket/person is $150. Arrivals and reception begin at 6:30 p.m. on Monday, October 29, 2012 followed by an awards ceremony, dinner and concert at 7:30 p.m. Manhattan Center’s Hammerstein Ballroom is located at 311 West 34th Street in New York City.